The white cedar ‘Smaragd’, also known by its botanical name thuja occidentalis ‘Smaragd’, is a coniferous tree with a fast, compact growth habit comparable to the ‘Brabant’ variety, which is a different cultivar of the same species. The name of this particular cultivar refers to the bright emerald green colour of its foliage, as “smaragd” translates to emerald. The rest of its name may be a little confusing, as this hedge plant is actually a part of the cypress family rather than the cedar genus. 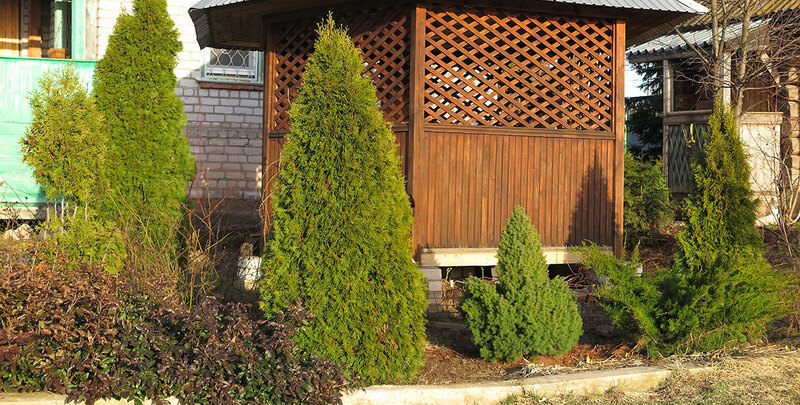 One of the biggest advantages of this conifer is the fact that it is an evergreen and as such, will hold on to its leaves even during the cold winter months. This quality, along with its compact growth habit, will guarantee year-round privacy. 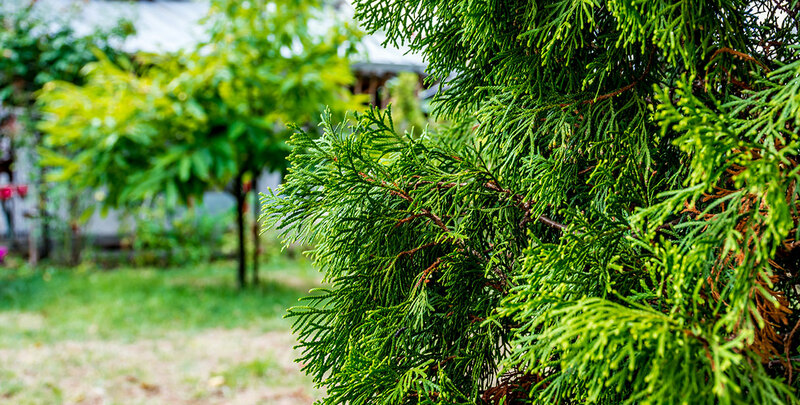 As the white cedar ‘Smaragd’ is a relatively slow-growing conifer with an average annual growth rate of 20 to 30 centimetres, it may take some time before your hedge is tall enough, but once it is, this cultivar makes an excellent screening hedge. An additional advantage of the slow growth rate of this hedging plant is the fact that it is relatively easy to maintain, especially when compared to exceptionally fast-growing hedging conifers, such as the Leyland cypress. If you are looking for a hedge that somewhat resembles the highly popular Leylandii hedge, but does not need to be pruned quite as often, the white cedar ‘Smaragd’ is an option very much worth considering, especially because the risk of this type of hedge becoming overgrown is fairly limited. The fact that the white cedar ‘Smaragd’ is unlikely to become overgrown is important, as this cultivar, like most hedging conifers other than the yew, does not produce new growth from its bare wood and can therefore not be rejuvenated without causing serious damage to your hedge in the unfortunate case of it becoming overgrown. Luckily, the risk of this happening is nowhere near as sizeable as with the Leyland cypress, which can grow up to 90 centimetres or in some cases even a metre per year. Therefore, the relatively slow growth rate of the white cedar ‘Smaragd’ – or the white cedar ‘Brabant’, for that matter – is an advantage. Not only does it limit its maintenance requirements, it also means you do not have to worry about having to damage your hedge as a result of vigorous growth. The white cedar ‘Smaragd’ has been a beloved ornamental plant for centuries. It is often planted as an individual specimen tree and its scale-like, emerald leaves will make a stunning display in any garden. In addition, these leaves are highly aromatic. Many people simply enjoy the fresh fragrance of this cultivar. However, when French explorer Jacques Cartier brought the thuja occidentalis with him from his third journey to the east coast of Canada in the first half of the sixteenth century, the ornamental value of the plant mattered very little to him. The native tribes of the area he visited claimed that the sap, bark and branches of the plant possessed medicinal qualities and therefore, Cartier took the plant with him in order to cure scurvy among his crew. Because of these supposed medicinal qualities, the white cedar is often referred to as “arborvitae” in the horticultural trade. This name literally translates to tree of life. This name is fitting for more reasons than just its traditional medicinal use, however, as the white cedar will live very long. There are white cedars alive to this day that are over 1,000 years of age, while several fossils of dead specimens have been found that have been estimated to have died when they were well over 1,500 years old. 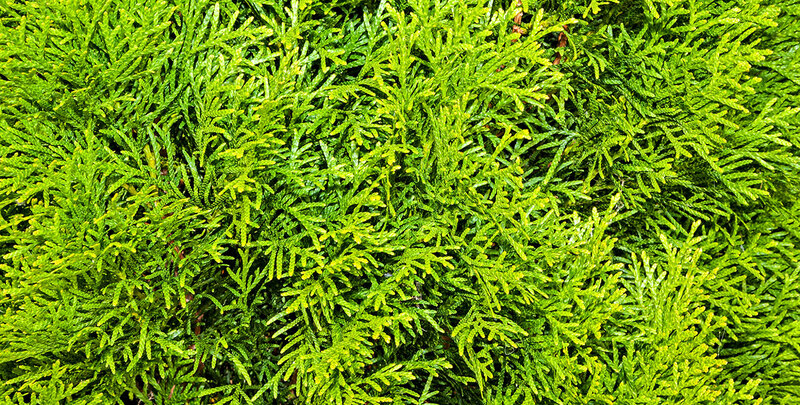 Therefore, planting a white cedar ‘Smaragd’ hedge in your garden will not result in a beautiful hedge that will only last a few years – if maintained properly, you will be able to enjoy the bright, emerald green foliage of your thuja occidentalis ‘Smaragd’ hedge for the rest of your life. In addition to being strong, hardy and long-lived, white cedar ‘Smaragd’ hedges are not very demanding when it comes to soil types and maintenance. Your thuja occidentalis ‘Smaragd’ hedge can be planted in any position from full sun to deep shade, though it is worth noting that it has a preference for full sun to partial shade. It does not tolerate wind quite as well, however, so it is best to avoid exposed sites. As this sturdy hedging conifer is somewhat vulnerable to prolonged drought, it is best to plant your hedge in a soil that is moist, but well-drained. In addition, we strongly recommend watering your plants frequently, especially during the first few years after planting, in order to keep the soil from becoming too dry. The white cedar ‘Smaragd’ is characterised by its conical growth. This is especially visible with immature plants, which are notably narrower on top than on the bottom. As a result, most pruning is done on top in order to maintain a neat, rectangular shape, although the same effect can also be achieved by cutting the bottom of the hedge more strongly than its top. Either way, it will take some time before your hedge is tall and dense enough to ensure year-round privacy, but after your hedge has been properly established, you only need to prune it once a year. Luckily, it is very tolerant of pruning and very easy to cut back. Young trees grow faster than older specimens. New growth in the spring and summer has a noticeable yellow hue to it. Additional watering may be required during prolonged periods without rain, as thuja species – and the white cedar in particular – do not respond very well to drought. This may sound contradictory to the fact that it does not like waterlogging – which is a dislike it has in common with all other hedging conifers except for the dawn redwood – but it is a simple fact that every plant dies if it does not get any water. As long as the soil in which your white cedar ‘Smaragd’ hedge is planted allows the water to drain freely, you do not have to worry about your hedge being damaged by an abundance of water. The beautiful emerald green colour of a thuja occidentalis ‘Smaragd’ hedge and its fresh, pleasant fragrance have no equal. In addition, the fact that the plant is relatively easy to maintain is part of the reason why this cultivar is highly sought-after for hedging purposes. It is certainly not a plant you have to worry about. If you make sure your soil is right for a white cedar ‘Smaragd’ hedge prior to planting it in your garden and give it the little maintenance that it needs afterwards, it will provide you with screening for a lifetime. 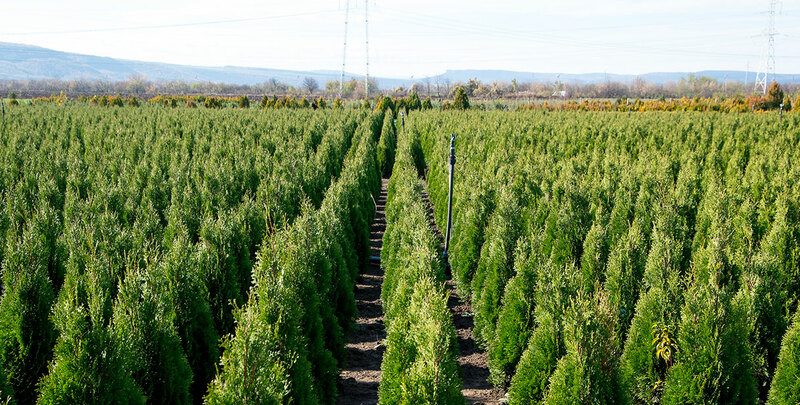 This thuja cultivar is an excellent choice if you are looking for a hedge that will provide year-round screening as well as a lovely appearance.